Soon we'll have a bright new Defence White Paper. But it's this man who'll probably have most to say about our security. This column for the Canberra Times considered the link between the two issues . . .
DO YOU WANT DEFENCE OR, PERHAPS, SECURITY? The single-most important factor relating to our future defence and security environment will be decided – for good or ill – on Wednesday next week. Why? Well, that’s the day the fourth most populous country in the world and a country that will have a bigger industrial base than us by 2020, Indonesia, goes to the polls. And guess what? We don’t get a vote. This is the crucial, salient fact to remember as our new Defence White Paper is being put together. It’s all very nice and good that Tony Abbott this week endorsed an even more right-wing Japanese PM who wants to rearm his country in defiance of that country’s constitution. It’s all very well for our Prime Minister to unilaterally – and without any scientific or military backing – endorse the demonstrably inferior capabilities of Abe’s submarines and unilaterally suggest we might buy Japanese. And it’s quite OK if Abbott wants to ‘warn’ China to behave in the South China Sea. But after every playtime we still have to come back to the classroom and unfortunately, no matter how much you close your eyes and wish for something very, very hard . . . the harsh world of reality won’t change. 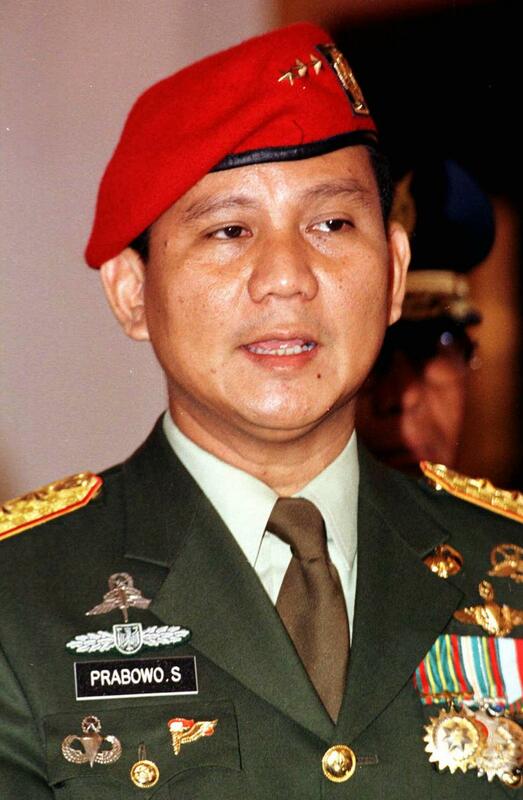 The current betting is that Prabowo Subianto (the former general who enters his massive campaign rallies riding like a white knight) will decisively defeat outsider Joko Widodo (the youthful governor of Jakarta). We know this because the last fortnight’s seen Prabowo garner an increasing number of endorsements from everyone who hopes to get a job with any new administration. At a foreign affairs debate during the campaign both candidates won applause by insisting they’d stand-up to Australia and, while neither are openly hostile, a new mood is likely to enter our relationship with Indonesia, particularly if Prabowo does become President. Very suddenly we can forget all about playing in the South China Sea. It’s not that there’s the danger of a military clash with Jakarta, but simply that there are so many other issues for which our security, broadly defined, vitally depends on Indonesia. Take climate change. The stats are now in and (according to the US’s National Oceanic and Atmospheric Administration) this year the earth had the warmest May since records began. It was also the 351st consecutive month with a temperature above the 20th-century average. This doesn’t mean there won’t be snow in the mountains today – global trends are going to have different effects in different places. But if climate change is real it adds a further complicating dynamic to the security equation. So do other issues. Is maintaining a shipbuilding industry really so vital that we should be paying a premium of thirty percent so we can buy something that’s home made. We were given that choice with cars and voted not to with our wallets. In numbers so overwhelming that the car-builders are now leaving the country. Why should naval engineers be a protected species when autos are more vital to our lifestyle? And this leads us on to fuel stocks. What’s the point of possessing a defence force when all a foreign power needs to do is to prevent the import of petrol and then wait for our society to collapse in on itself? Our dependence on this networked world represents an extremely dangerous factor that demands its own accounting in any genuine examination of our security environment. New trend-lines are welded into place already and there’s no point in pretending otherwise. Posturing is pointless. Just peer forward and you’ll see the future and, importantly, it’s not like the past. Understanding this is to comprehend the difficulties faced by the team advising the drafters of the White Paper. These concerns rocketed around a Royal United Security Institute forum discussing the issues in Canberra this week and everyone had their own answer. The answers stretched from the sublime (recognising that China’s intervention in the waters between Vietnam and the Philippines means that this superpower must now be counted as a South East Asian nation) to the silly (another squadron of tanks will guarantee security). I sat with 150 others in the big room at the Harmonie Club in Narrabundah; listening to firmly-held opinions being aired as the fried spring rolls bathed in the warming lights of the food heater; watching as the same issues that have been debated for years were unrolled again for our consumption. Nobody could possibly doubt the goodwill (although, in some cases, you might have doubted the wisdom) of those who’d come to debate the issues. And then I suddenly realised: this is why we have politicians. Local (Labor) MP Gay Brodtmann demonstrated why politics is an art. Her contribution was to introduce a robust, five-point framework for deconstructing the challenges defence faces. What’s our environment; what do we want to do; what force do we need to achieve this; can we afford it; and, if not, what other ways are there of accomplishing our objective, or does this need to change? The politicians are the people who’ll have to reconcile our overarching objectives with our willingness to pay for the means to accomplish them. Yet the most vital ingredients of a successful strategy will be a friendly neighbourhood. Wot you lookin' at ? eh ?